On May 15, 2018, heaven could not wait any longer for Andrea “Shoe Shoe” Murphy and an angel rescued her soul from Jackson General Hospital and carried her to a better place. A place where there is no more suffering and no more pain. Her funeral was held on Sunday May 20, 2018 at 1:00 pm at Union Hill MB Church with Pastor Jerry Crisp in charge. Burial was in the Church Cemetery-Whiteville, TN and Dixie Funeral Home http://www.dixiefuneralhome.com/ was in charge of the professional service. Andrea was born on July 17, 1973 to Rosie J. Turner and the late James Thomas Murphy. Andrea accepted Christ and began fellowship at Campbell Chapel Church and later joined Union Hill M.B. Church in Whiteville, TN. She was a great mother, and awesome grandmother, a great sister, aunt, cousin and loving friend. Andrea was preceded in death by her father whom she loved more than life itself, James Thomas Murphy; her grandparents, Willie Mae Murphy and Thurman Murdock; one uncle; Tommie Lee Randolph: one aunt; Kimberly Randolph: three great uncles, Brooks Murdock, Joe and F.L. Lewis; one great aunt, Sally Woods. 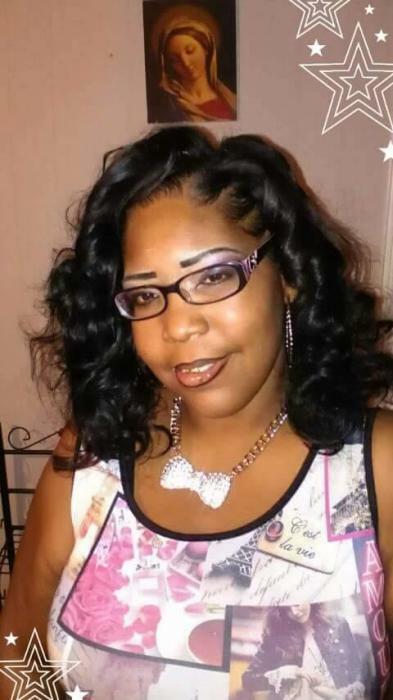 She leaves to cherish in her memories: four children; Audrey Nicole Murphy of Moscow, TN., Andraius LeJuan Murphy, Adarius Neshawn Murphy and Rodriquez Murphy all of Jackson, TN. : four brothers; Kamal Murphy and Walter Pirtle of Bolivar, TN., Goldie Turner of Grand Junction, TN. and Bryan Green of Chicago, Il. : two sisters; Toni Turner of Kent, WA. and Jamilya Murphy of Jackson, TN. : ten grandchildren; Jakyrin Murphy, Keziah Murphy, Ja’Katlin Murphy, Karlston Brooks, Ja’Coby Woods, A’Mya Nicole Brown, Daijuan Thomas Murphy, Kalauni Murphy, Jamari Murphy, and Cor’Driquez Murphy: one grandmother; Velma Randolph: six uncles; George Murdock, Larry Murphy, William Earl Murphy, Linzy Murphy, Jason Randolph and Thomas Smith Jr.: seven aunts; Misty Springfield, Michelle Burns, Tracy Smith, Cynthia Griggs, Denise Smith and Diane Smith and a ton of special friends (way too many to name) and a host of nieces, nephews, cousins, and many close friends.